Here is an article I find quite interesting. 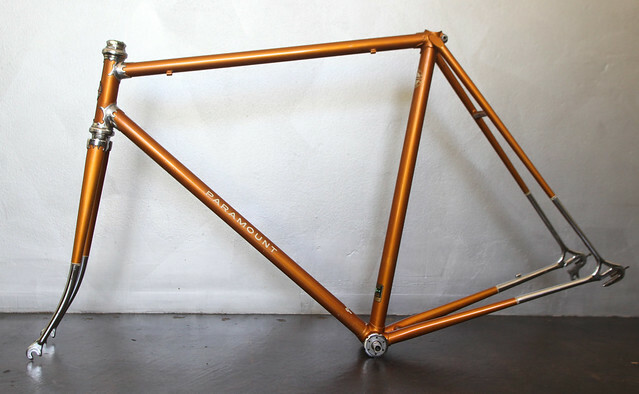 Dave Moulton is well known for his high quality custom frames and his equally stellar finish work. In this article, he discusses candy apple paint finishes and the tricks to take it to the next level. Candy apple paint! Schwinn also used a similar process for their Radiant Coppertone color, which consisted of an aluminum under coat and then a translucent orange over top. The result is a fantastic finish that shines like crazy in the sun! it is my favorite Schwinn color! Enjoy !